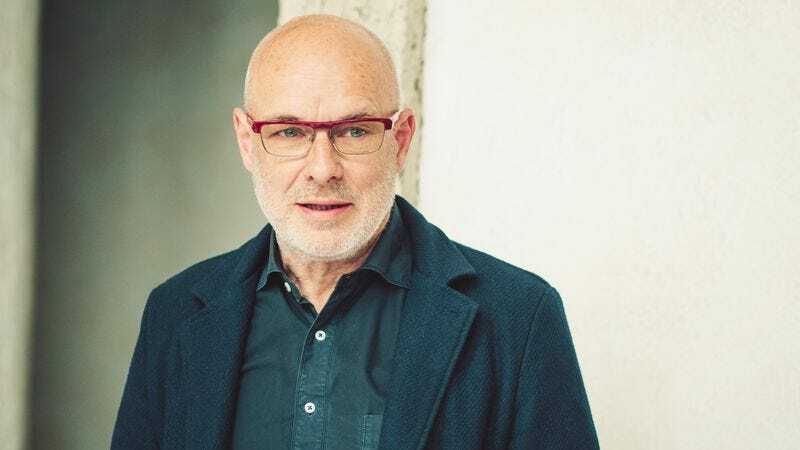 Brian Eno is without a doubt the most Brian Eno-esque musician currently working in the world by a long shot. Nobody else even comes close. In addition to his incomparably off-kilter work as a producer for envelope-pushing artists like David Bowie, Talking Heads and Laurie Anderson, the Suffolk-born multi instrumentalist was a pioneer—if not the originator—of the lulling, measured musical genre we now call “ambient” but once upon a time was called “those odd noises that Brian is always playing with.” And he has just announced a brand new collection of those odd noises titled Reflection. Here’s the title track from The Ship—Eno’s previous ambient album, released back in April—in case you need some help grasping the concept. When I make a piece like this most of my time is spent listening to it for long periods—sometimes several whole days—observing what it does to different situations, seeing how it makes me feel. I make my observations and then tweak the rules. Because everything in the pieces is probabilistic and because the probabilities pile up it can take a very long time to get an idea of all the variations that might occur in the piece. One rule might say ‘raise 1 out of every 100 notes by 5 semitones’ and another might say ‘raise one out of every 50 notes by 7 semitones’. If those two instructions are operating on the same data stream, sometimes—very rarely—they will both operate on the same note…so something like 1 in every 5000 notes will be raised by 12 semitones. You won’t know which of those 5000 notes it’s going to be. Since there are a lot of these types of operations going on together, on different but parallel data streams, the end result is a complex and unpredictable web. So, pretty much how we you would assume. Reflection will be available to lull our frazzled minds into a languid torpor with its complex semitones on January 1.